I’ve added photos of Bryce attending the 21st Annual Critics’ Choice Awards at Barker Hangar Santa Monica, California (January 17). I’ve added some photos of Bryce attending the 73rd Annual Golden Globe Awards. The event was held at the Beverly Hilton Hotel Beverly Hills, California (January 10). I will add more photos soon, enjoy! 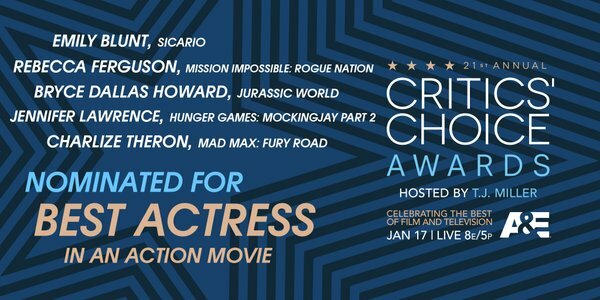 It has been announced that Bryce will present at the 2016 Golden Globe Awards. The 73rd Golden Globe Awards will air on Sunday, January 10, at 8pm PT. Bryce Dallas Howard, Helen Mirren and Jim Carrey will be among the presenters at this year’s Golden Globes ceremony. Howard was one of the stars of this year’s summer blockbuster Jurassic World, which broke major box-office records. Along with her presenting duties, Mirren will attend the Golden Globes as a nominee, having received a mention for her role as gossip columnist Hedda Hopper in Trumbo. Carrey did not appear in any films in 2015, but the actor can next be seen in The Bad Batch, starring opposite Keanu Reeves and Jason Momoa, due out this year. The 73rd Golden Globe Awards will air live on Sunday, Jan. 10, at 8 p.m. ET/ 5 p.m. PT on NBC, with Ricky Gervais serving as host. POF client administration is here to help you with your web based dating record and that’s only the tip of the iceberg! Ideally you never need to contact POF client benefit and your web based dating background runs smooth.pof Albeit now and then things happen and you may require a touch of offer assistance. On the off chance that you have to contact POF client benefit in regards to your Plenty Of Fish profile or POF login you can do as such by telephone or email. Bryce appeared in the video, Star Wars Re-Enacted In 86 Seconds: Hollywood Strikes Back, and she appears at around 1:17 for a few seconds! Check out the video below. Your Apple ID watchword secures the protection of your data put away in iCloud, for example, your email. Your secret key additionally ensures your capacity to find or remotely eradicate your gadget utilizing Find My iPhone. icloud sign inYou ought to routinely change your secret word to ensure your data. I have added some photos of Bryce attending the Ron Howard Star ceremony on The Hollywood Walk Of Fame in Hollywood, California (December 10). If you would like to check out a video of the ceremony, click here. Enjoy! “Jurassic World” broke several box office records and as previously reported the sequel, aptly titled “Jurassic World 2” instead of “Jurassic Park 5,” will release on June 22, 2018. Actress Bryce Dallas Howard confirmed during an interview with eTalk that she will be reprising her role and that production begins in 2017. Howard portrayed Claire, the main operations manager for the park. Chris Pratt will also return as Owen Grady, the Velociraptor trainer and Claire’s love interest. By the film’s finale they decided to stick together for “survival” and may be crucial characters that may stop the dinosaurs from wrecking havoc world wide. No official plot for the sequel has yet been released but the report does cite that there are a few hints in “Jurassic World” that give an indication of the direction the studios are going in. B.D. Wong, who plays Dr. Henry Wu, was able to escape the island with his technology and dinosaur embryos. There is a scene in the film where he even explains that there will be a day where other companies will be able to create their own dinosaurs as well. Vincent D’Onofrio’s character also states that the dinosaurs could be used as weapons. Movie Pilot also states that director Trevorrow previously explained that he changed the title from “Jurassic Park 4” to “Jurassic World” for a reason, hinting that the next film might see the dinosaurs causing the end of human civilization akin to the “Planet of the Apes” franchise.